It’s confirmed: “One Day At A Time” is returning for a second season! Get ready for endless laughs and tears: One Day at a Time confirmed its second season, and we couldn’t be more excited. After its initial success, Netflix has ordered 13 new episodes. One Day at a Time introduced us to the Alvarez family, a hardworking cross-generational household, experiencing troubles and achievements as a united front. And the lively, joyful announcement is exactly what we’d expect from the series. In a video made public via social media, we see the cast members dancing to the theme song and sharing the news of their triumphant return. Netflix’s reboot of Norman Lear’s 70s sitcom, One Day at a Time, is rejuvenated with a relevant and honorable approach centering on Latinx characters. The story focuses on a Cuban-American family living in Los Angeles. Penelope Alvarez (Justina Machado) is a single mother facing depression and PTSD while boldly providing for her family. Along the way, the family showcases the power to overcome roadblocks. Rita Moreno perfectly depicts a Cuban-American abuela and matriarch of the family. From the changing moods of a tween boy to the gender-identity journey of a teen, the series delves into feminist, immigrant, and queer issues. 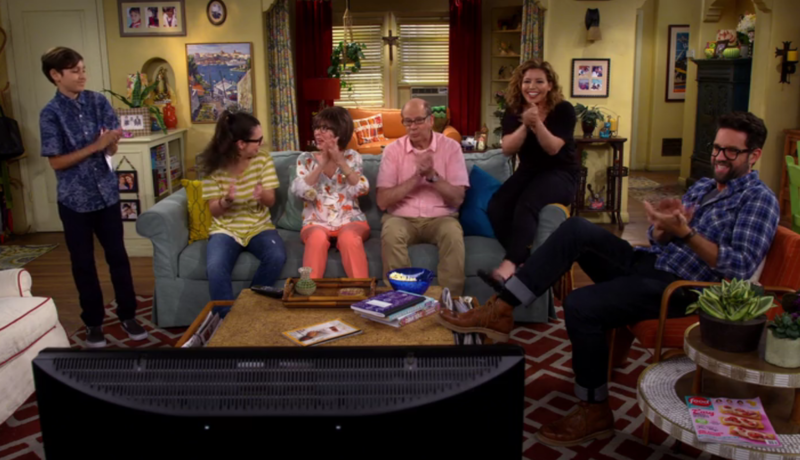 Unlike many series, ODAAT explores the multi-layered Latinx identity — and while peppered with humor, it does not lose its message or values. The last scene in the season finale was an instant classic, and a tearjerker! We hope to get more of these kinds of moments in the upcoming season. Also, can we get more of black lipstick goth Carmen?! One Day at a Time will be available on Netflix, and we can’t wait to hear the stories from our new favorite Latinx family!